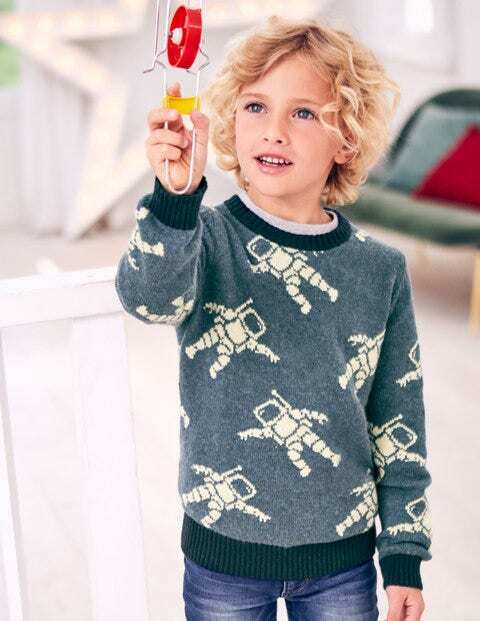 We heard it's pretty chilly in outer space, so we've added a dash of merino wool to this crew-neck jumper to make it even cosier. It's extra soft, so it feels lovely against skin – even under a spacesuit. A contrast ribbed collar, hem and cuffs keep the warmth sealed in, all the way to infinity and beyond.